I decided to incorporate chia into my family’s dietary routine, as it assists in weight loss as well as reducing glucose levels which can benefit diabetics.1 My whole family has benefited from its addition to our meals, and my husband has found chia to be the solution to reducing his sugar cravings. Many people consume chia before a meal to reduce hunger, and I've found it to be a great breakfast drink. I feel energized, satisfied and awake after a nice glass. Although I'm not a long distance runner, indulging in chia loading is better than carbohydrates or energy drinks to enhance athletic performances for endurance events.2 Research has also demonstrated that the beneficial effects of omega-3, as found in chia, has helped those suffering with mood disorders. A meta-analysis of trials involving patients with major depressive disorder and bipolar disorder provided evidence that omega-3 in chia reduces symptoms of depression.3Omega-3 fatty acids have been proven in increase brain function and decrease depression. So, incorporating chia into your diet on a regular basis helps not just your physical health but also your mental health. 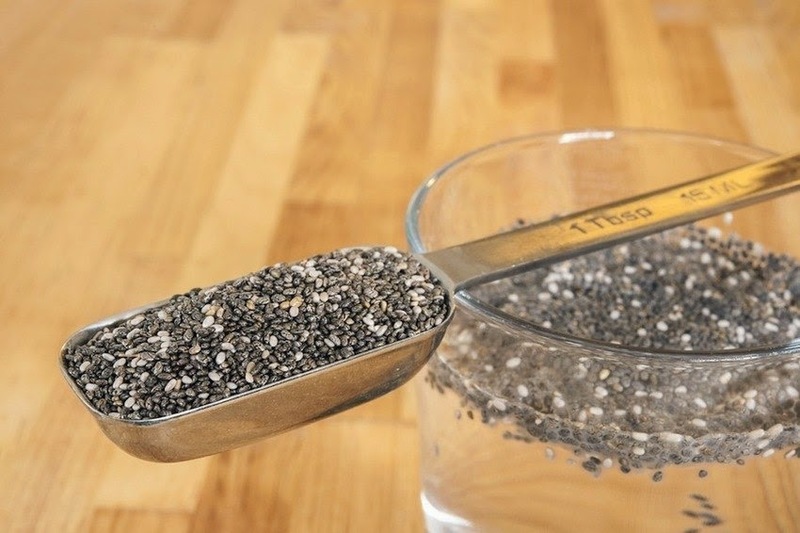 The optimal daily consumption of chia is four tablespoons throughout the day, but you can gradually work your way up to that amount starting with one tablespoon a day.4 Adding just two tablespoons of chia seeds to your daily diet will give you approximately seven grams of fiber, four grams of protein, 205 milligrams of calcium, and a whopping five grams of omega-3. Chia has both soluble and insoluble fiber, which is a great benefit. That's why the seeds expand in liquids without losing any of the fiber content. If you consume four tablespoons per day of chia, you get 14 grams of fiber. By comparison, one packet of oatmeal has only four grams of fiber. Although we eat a lot of salmon, no one in my family is very fond of taking fish oil supplements as a source of healthy fats. As chia is a very stable source of omega-3 fatty acids, we use it regularly to supplement our diets. A mere 3½ tablespoons contains as much omega-3s as a 32-ounce piece of salmon. Chia seeds can also be ground into flour as an alternative for those with gluten allergies, such as my oldest son. Chia is often served in drinks or smoothies, but if you don't want to use it in a drink it's easy to sprinkle on your oatmeal, directly on your meals, or stir it into a Greek yogurt. Chia has a neutral flavor, so it goes with just about anything. And, as a bonus, chia seeds can be stored for long periods of time in your refrigerator or pantry without going rancid, which makes it easier to save money by purchasing them in bulk. (4) Coates, W. (2012). Chia: The complete guide to the ultimate superfood. Sterling Publishing: New York, NY.